I began incorporating smoothies and juices into my diet about 2 years ago and I'm hooked! I find it difficult to go even a day without either a smoothie or a juice, sometimes I'll have a big smoothie for breakfast and juices are great for getting in extra nutrients but what's the difference between a smoothie and a juice and which is better? 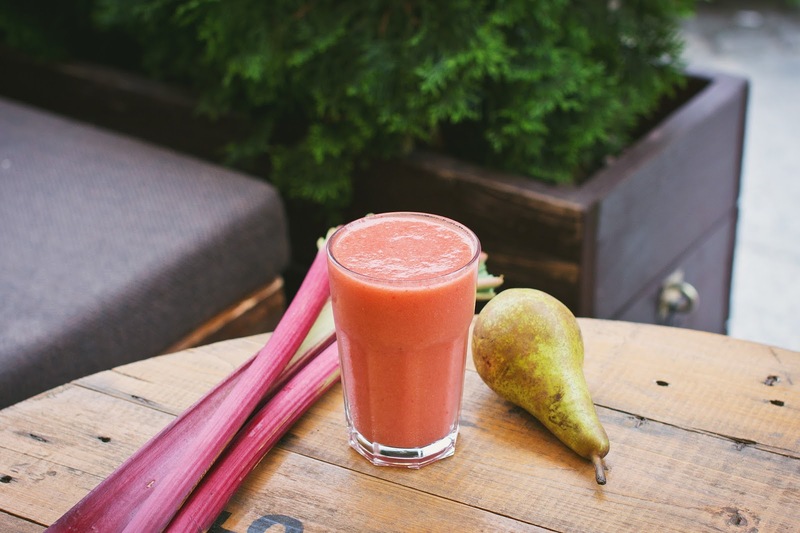 Both smoothies and juices have grown hugely in popularity over the last few years - they're available in every good cafe, Instagram is full of fancy smoothie/juice shots and there's even recipe books completely dedicated to the healthy drinks! Each has it's own benefits and both are wonderful things to start including in your diet but perhaps you're a little confused about the differences between the two and which is best, so I'm here to help! A juice is pure liquid that doesn't contain any fibre. A juicer will extract the liquid from all the fruits and vegetables removing the fibre and making it easier for your body to instantly absorb the plant-goodness! With no fibre in the drink it means your body doesn't have the mammoth task of breaking everything down and the nutrients can be easily absorbed into the body - the vitamins and minerals will just flood your body! This also gives your digestive system a rest which can be really beneficial, especially if you suffer with digestive issues and your body is a little too sensitive to handle lots of fibre. The issue with juice is due to the lack of fibre the sugars from the fruit are absorbed immediately into the blood stream which causes blood sugar levels to raise. Plus, fibre is what keeps your digestive system ticking away and sweeping out those toxins that you don't want! Juices are pretty much just water, sugar and nutrients so they shouldn't be used as meal replacements. You couldn't and shouldn't drink only a juice as a meal replacement as it want satisfy you, fill you up or provide you with important fibre. Juices are no doubt a great way to gram some extra goodness into your body but to get the most out of them you should make sure they're veggie focused to prevent sugar-spikes and never use them to replace a meal. Experiment and see if juices are for you! Smoothies are made by blending fruit and veggies together to create a pureed drink full of gut-friendly fibre. I prefer to make smoothies because they're quicker, cheaper, easier, they actually fill me up and the fibre ensures a slow and steady absorption of sugar into your bloodstream so you won't get any spikes and you'll feel super energised! Smoothies contain the same nutrients as juices but your body will just take a little longer to digest the drink, but that doesn't matter...there's no rush, is there? Smoothies are also fab if you like superfood powders, yogurts, nut butters, etc because you can whizz them up in your blender with the fruit and veggies for added bulk and delicious nourishment. These additions also mean you can use a smoothie as a meal replacement - my favourite is to blend banana, oats, almond butter, spinach, flaxseed and almond milk to create a creamy and satisfying breakfast smoothie with plenty of carbs, healthy fats, protein and vitamins to provide you with long-lasting energy. I personally love both juices and smoothies, I drink juices alongside a snack or my breakfast and enjoy making them when I have little more time to spare but generally smoothies are my go-to and I have one most days. I find smoothies satisfy me, I prefer the thick texture, the tastes and they're far quicker and easier too. Either way, these healthy drinks can be wonderful additions to any diet and will boost your nutrient levels which is never a bad thing!